Absolutely chuffed that Johnny the Friendly Lawyer has again popped up with this particular contribution. It’s a follow-up to ICA 26…..
As good a lead-off track as any, this one from 1980’s Black Sea. Also released as the 4th single from that LP. Album side off 1979’s Drums and Wires. I wrote in the Moulding comp that the band really came into their own on this album after two previous LPs. (That’s why this ICA doesn’t include earlier Partridge standouts like ‘Are you Receiving?‘ and ‘Statue of Liberty’). XTC were excellent musicians but the introduction of guitarist Dave Gregory game them a legit virtuoso. His brief solo on this song, at about the 2:30 mark, is just perfect. 1979 was a banner year for post-punk guitarists; the likes of Magazine’s John McGeoch, PiL’s Keith Levene and Gang of Four’s Andy Gill served up stellar work on Secondhand Daylight, Metal Box and Entertainment!, respectively. Gregory never got their level of recognition, but his fretwork was equally significant. ‘Real by Reel’ is also noteworthy in that Moulding played the bassline somewhere in between ska and reggae time, thereby inventing skeggae. XTC released the sub par Nonsuch in 1992 and then went silent. For seven years. Then they returned with Apple Venus, a so-called ‘pastoral’ album that sounded (to me) as a sequel to Partridge’s 1986 masterpiece, ‘Skylarking’. Older, mellower, sophisticated and acoustic, the group still sounded relevant after more than 20 years on the job. Speaking of Skylarking, here’s an album track from that LP. Producer Todd Rundgren gave Partridge a lot of stick for rhyming ‘cycle’ with ‘umbilical’, but it’s just the sort of silly, unusual couplet that I always found endearing rather than ridiculous. Sings for itself. One of best, if not the very best, of all XTC songs. Released as a single from 1982’s English Settlement LP. Unbelievably, it is the band’s only top 10 single (reaching number 10). 6. The Mayor of Simpleton. More evidence of Dave Gregory’s talent. The modest guitarist had this to say about his beautiful nylon-string acoustic work: “It sounds difficult but it wasn’t. I just worked out these little phrases that sounded like what the song needed.” Simple as that! An album track from English Settlement. 8. No Thugs In Our House. A rocker, as it were, with agitated lyrics snarled by Mr. Partridge. I wonder if Partridge’s unorthodox vocal delivery might have factored into XTC’s lack of success over here in the States? He’s often described as a ‘quirky’ singer, which can translate to ‘oddly irritating’. Not sure about that, but I do love this gem, another single and album track from English Settlement. Note the variety of the 3 songs on this ICA from that one LP. An album side from Oranges and Lemons. Love the brass section competing with Gregory’s Hendrixish wah-wah soloing throughout. 10. Earn Enough For Us. Saved the best for last. Another album side from Skylarking and my all-time favorite XTC song. If I could have written only one of their tunes, this is the one. Brainiac’s Daughter – Meant to sound like a Sgt. Pepper outtake. Pale and Precious – Kind of a lost Beach Boys track, but from Swindon instead of LA–right down to the ‘Good Vibrations’ background vocals and theremin! My personal fave is Dear God. I’d have squeezed that one one, but otherwise nothing to argue about here! Thank you Johnny the Friendly Lawyer, for a second excellent XTC comp. A thoroughly enjoyable listen from start to finish. JTFL – great selection. 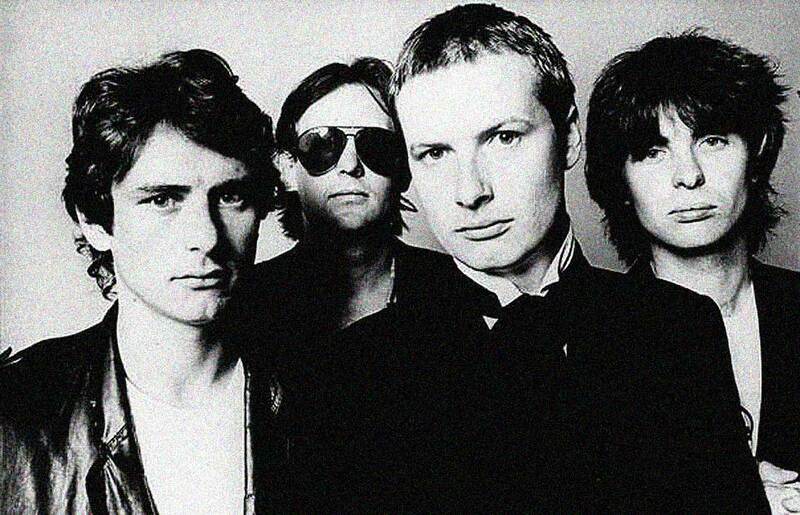 XTC is a band where any ICA should be culled from favorites over any other qualifier. I don’t have a single quibble with any track you chose and I have to agree that Earn Enough For Us and Senses Working Overtime are among my very favorite XTC songs. I am a very big fan of Mummer, The Big Express and Wasp Star – Nonesuch is a difficult album. I would offer Great Fire and Me And The Wind from Mummer and Seagulls Screaming Kiss Her Kiss Her and This World Over from The Big Express are four of Partridge’s best.